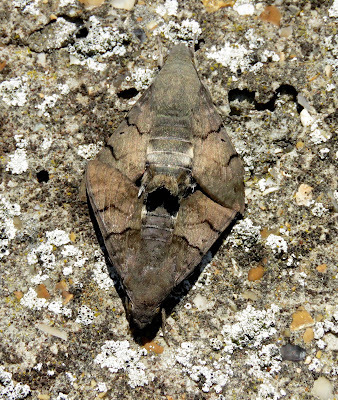 A small movement of birds on the land with three Whimbrels, a Cuckoo and 48 Sand Martins overhead and single juvenile Mediterranean and Yellow-legged Gulls at the Patch. This evening there was a large feeding flock of Gannnets offshore which attracted a Manx Shearwater into the frenzy. The moth traps were very quiet (too cold overnight) but this morning a mating pair of Hummingbird Hawkmoths were found on the power station wall. Of note among the butterflies were at least 30 Brown Argus and five Speckled Bush-crickets were found in the observatory garden. 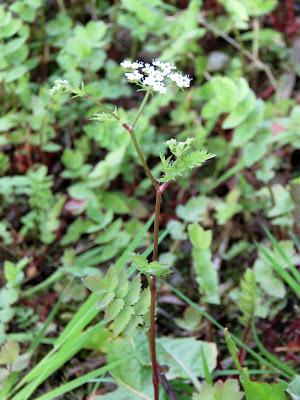 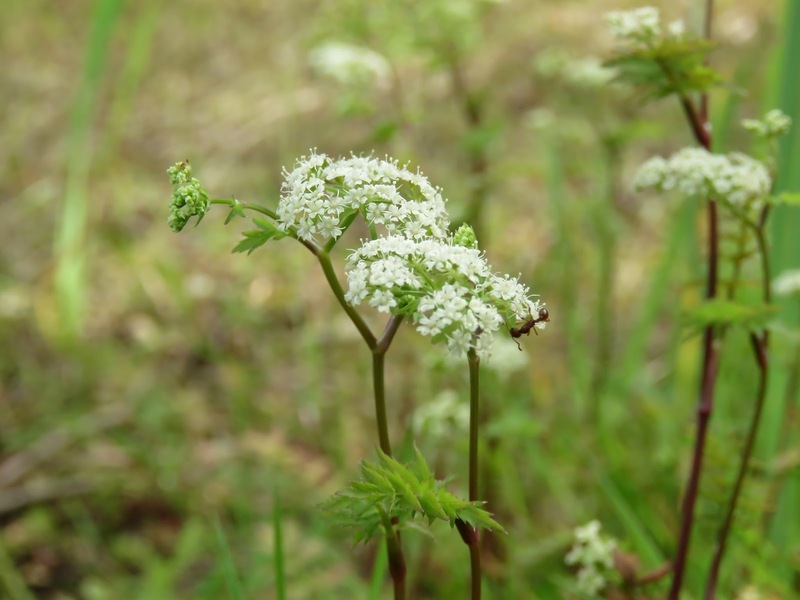 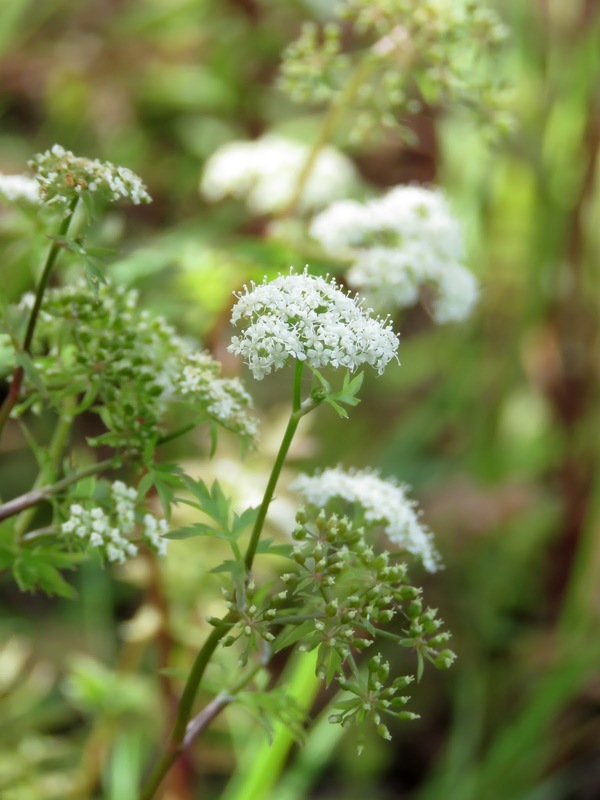 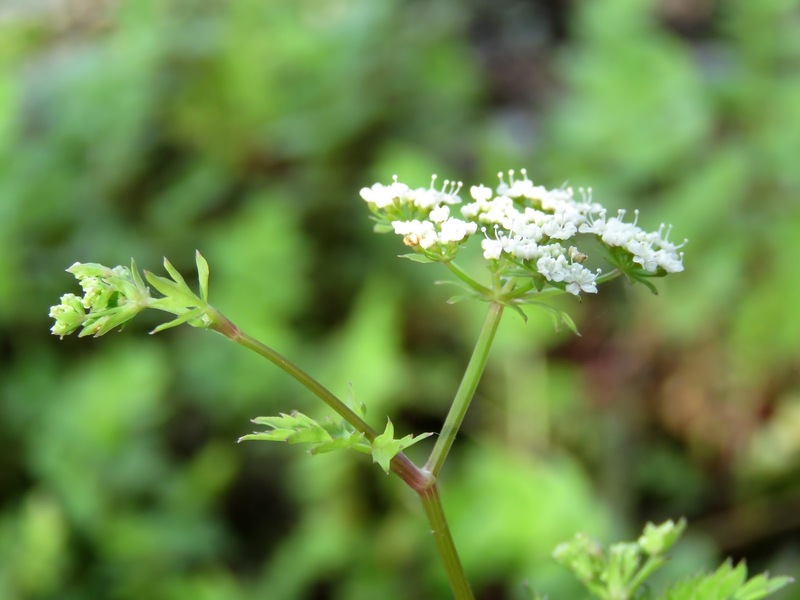 Yesterday afternoon I came across an unfamiliar umbellifer growing on the bank of the spine at the northern Long Pit. Having checked it against reference books it appears to be Lesser Water-parsnip Berula erecta and is a new species for the Observatory recording area and with only one old record for the greater Dungeness area.